I arrived at Agozar! 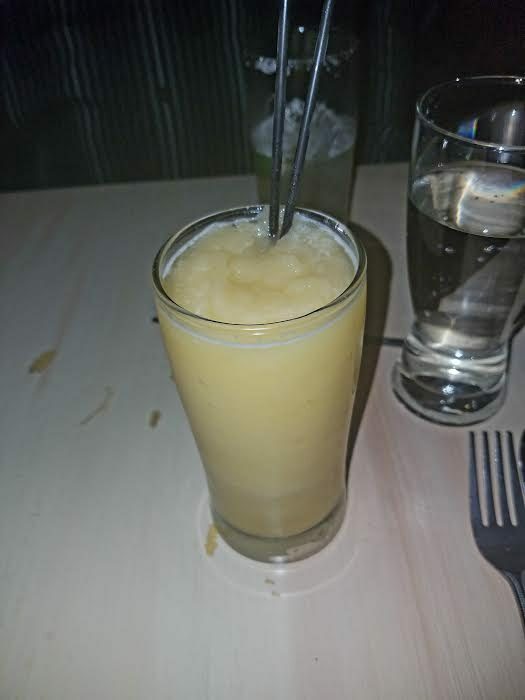 about 15 minutes early, so I went to the bar to experience a non-alcoholic beverage. The bartended nailed it for me. My date–I believe it was actually my husband–arrived a bit early too, so we went to a table in the back of the restaurant, which we found stunning, a room with paintings of Cuba on the wall. We were also delighted by their food, which we’re happy to describe in the next paragraphs. 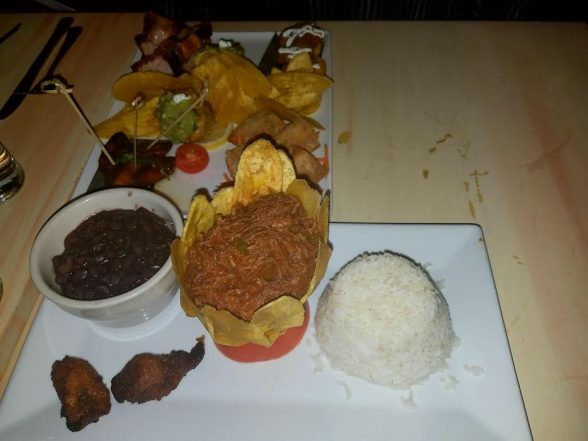 We ordered a platter with diverse foods, that way we were able to experience as much as we could from the Cuban culinary, which owners, brother and sister, Gerardo Perez and Diana Mastrodimos had in their menu since they opened in 2002. 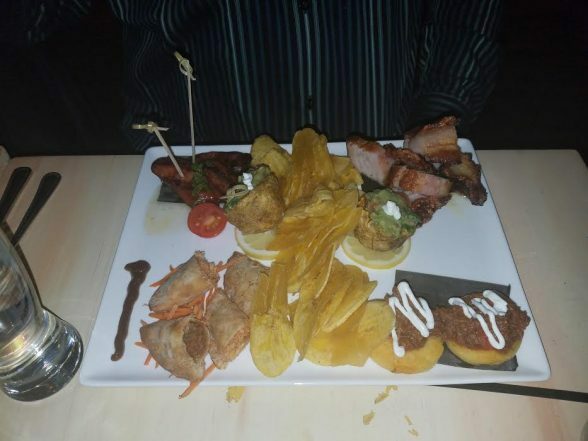 Originally they served the same food they grew up with, but later on turned it into a tapas restaurant. 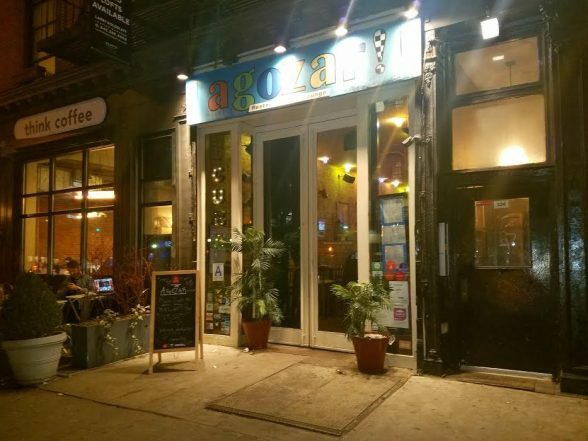 For a casual dining experience with good Cuban and other Latin American foods, Agozar! is an amazing place for it. Their margaritas are also amazing.